The Royal Gift is a wonderful place to find gemstome, gold, and silver necklaces for women. Choose something for yourself or shop our selection of ladies necklaces to find something special for a loved one. Our online jewelry store carefully curates a selection of necklaces that are as lovely to wear as they are to give as gifts. Place an order with us today and get free shipping when you spend $100 or more. This necklace gives off a truly radiant look with i'ts polished Sterling silver and CZ studded linked circles. Length: 16"
Sterling Silver 925 Heart Charm Toggle Necklace 16"
A lovely classic piece that is always appropriate to wear. 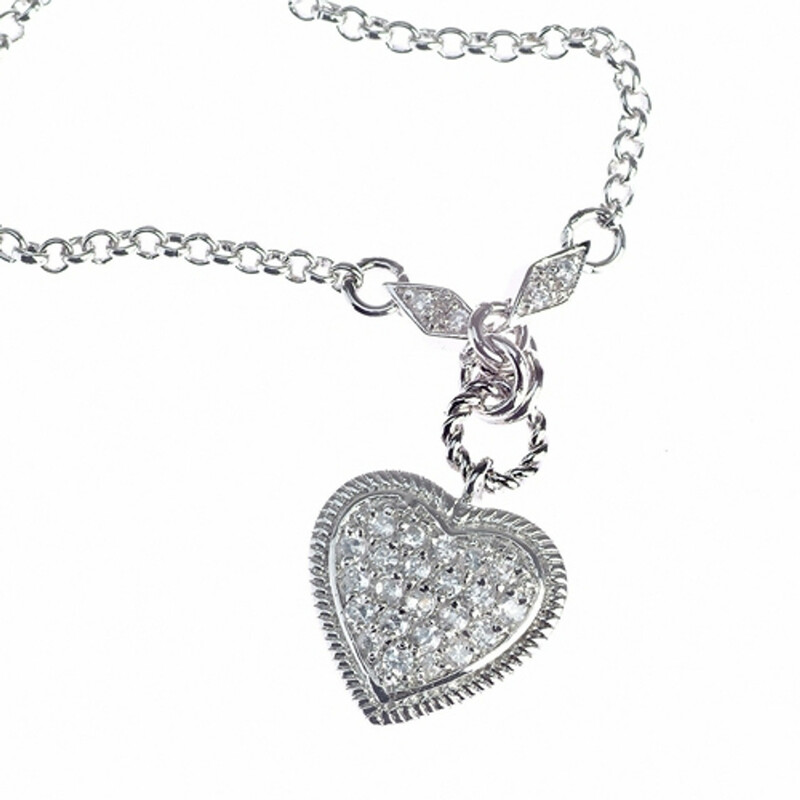 Features a sterling silver thick link chain with a shiny sterling silver heart pendant. To add some style, necklace closes with a toggle lock. Length: 16"
Adorn your neckline with this lovely sterling silver toggle necklace and vibrant pink CZ heart pendant. Length: 16"